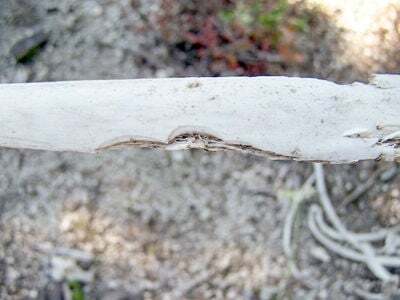 THIS PHOTO SHOWS a bone with human-like teeth imprints, including a front incisor and lateral incisor, according to Mitchel Townsend. The research compiled by Townsend shows the bite ratio is 2 1/2 times larger than that of a human. ANOTHER BONE SHOWS an imprint of a human-like tooth, according to Mitchel Townsend. • Mitchel Townsend is a professor at Centralia College and Lower Columbia College. He has a master’s degree from Pepperdine University and has completed doctoral studies at the University of Calgary in Alberta. • He has taught Bigfoot courses at Centralia College for two years. • His first course, “CSI Bigfoot, Legend Meets Sasquatch,” was based on the work of Geoff Meldrum, from Idaho State University’s Department of Biological Sciences and received national attention. • His current course, “Bigfoot Solved, Proving the Legal and Scientific Case for the Addition of a New Great Apes Species in the Pacific Northwest,” is currently ongoing at Centralia College. The course combines his original research and features his newest discoveries. Couldn't be more close minded Ron. Do you realize there are new species of primates discovered fairly frequently? Just because we haven't "found" it yet doesn't mean it does not exist. Do the research. None of your arguments hold water. 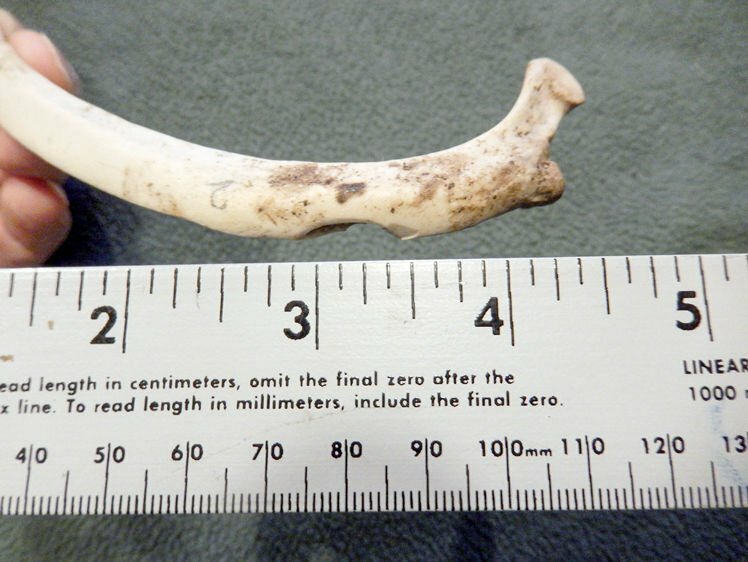 Skeletons of any animal are gone pretty quick in the areas of the most frequent bigfoot sightings, ie the Pacific Northwest, due to scavengers and rapid decay. Have you read the book? I have. Have you ever come across a bear or cougar skeleton in the wild? Maybe a few have but its very rare. Am I 100% convinced myself? No. But there are too many eyewitness reports from credible people. They are seeing something out there. What it is I don't know. The possibility of a bipedal animal roaming the USA does indeed exist. I said "possibility", not "probability". I will remain open minded on the subject. There is no such thing as bigfoot never has been never will be ! There is no evidence because there has never been a found skeleton at any time in the written history of man !! This so called Dr. from Idaho State U is writing a book on the subject and their is no better way to sell a good story , because you never want the truth to get in the way of that !! And if you believe this BS you should come on out to my unicorn ranch we are just a scant 53 miles west of Venus !!! Would a primate and a human be genetically compatible? Is there some sort of romantic saga from the Pleistocene Age at play here? Teachers also give besttermseducation and it also gives self-reliance and it also increases the confidence level and it give proper end result and perfect pondering. It is a bit premature to add another primate to the shaggy bush of life, but PRAISE HALLELUIAH one of my neighbors understands that extraordinary claims require solid evidence. *It is Dr Jeff Meldrum (Don Jeffrey Meldrum) of Idaho State University (Department of Biological Sciences).